There was no specific incident that caused a work-related injury does not mean that your injury will not be covered by workers’ compensation. Know 4 Surprising Facts About Workers Compensation with Los Angeles workers compensation attorney at Koszdin, Fields, Sherry & Katz. On behalf of Koszdin, Fields, Sherry & Katz posted in Workers Compensation on Thursday, February 22, 2018. Millions of Americans get injured at work every single year. And yet, not all of them receive workers’ compensation benefits to focus on recovery and return to work activities as soon as possible. Why is this happening? Sadly but true, there are certain misconceptions about workers’ compensation that are floating around in Los Angeles and other parts of Los Angeles. Most of what you may read on the Internet about workers’ comp is overly simplified, which is why so many people tend to make mistakes after getting injured in the workplace. Here’s what you need to understand about workers’ compensation laws – or any other laws, for that matter – it can never be all summarized in black and white. For every rule, there is always an exception. And only a Los Angeles workers compensation attorney knows all the loopholes and strategies to get your employer to pay for your medical bills, lost wages and many other damages incurred as a result of a work-related injury – no matter what your circumstances are. 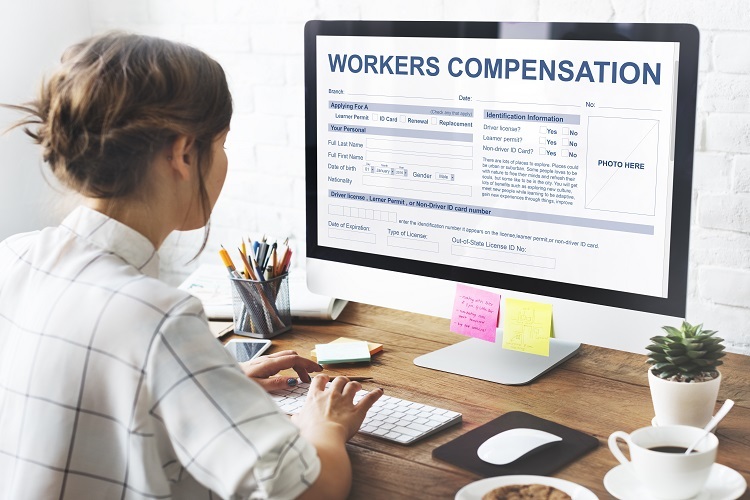 Today, we asked our best attorneys at Koszdin, Fields, Sherry & Katz to outline some of the most common misconceptions about workers’ compensation – which, by the time you finish reading this article – will become “surprising facts” for you. ‘You can get workers’ comp benefits for any injury that happens at work’ False. In fact, just because your injury has occurred at work, it is NOT necessarily work-related. Therefore, only work-related injuries are covered by workers’ compensation laws under California employment laws. “Wait, I’m confused. What injuries can be considered work-related?” you may wonder. You see, a work-related injury is an injury that happened to an employee who was engaging in work activities. In other words, if an employee is injured while doing something that isn’t related to his or her job duties, it will not be considered “work-related.” For example, let’s say an employee suffers a lower back injury after bending over at work to tie his shoe. Just because he’s in the office at the time of the injury doesn’t make his injury work-related. However, for every rule there’s always an exception. Let’s say this injured employer has to sit in his cubicle all day, which puts him at a higher risk of suffering a lower back injury when performing certain movements due to the sedentary lifestyle that his work conditions have created. In that case, the employee may be entitled to workers’ comp benefits. This is a very common myth. Just because your injury manifested itself outside of the workplace does NOT mean that it will not be covered by workers’ compensation. With the help of a skilled Los Angeles workers’ compensation attorney, who will order a thorough and fair medical evaluation of your injury, you can still prove that the injury is related to your work activities either directly or partially. Not at all. Just because there was no specific incident that caused a work-related injury does not mean that your injury will not be covered by workers’ compensation. Yes, your employer may be eager to know all the details about your injury, including the specific activity you were engaging in when the injury occurred, but what matters is the FACT that you suffered the injury and that you can prove it is work-related. More often than not, employees are discouraged from filing a workers’ compensation claim, thinking that the employer will not believe them that simply because there was no specific incident at work. Only workers’ compensation attorneys – working in cooperation with doctors – can determine whether or not you’re entitled to workers’ compensation coverage after evaluating the nature of your injuries, assessing your work activities, and determining the full cost of damages, including long-term lost wages and lost capacity damages. One important thing to keep in mind before picking up your phone and calling Koszdin, Fields, Sherry & Katz for a free case evaluation is that what matters in workers’ comp cases is that you should be able to PROVE that your activities – in one way or another – contributed to your work-related injury. Consult our attorneys to start receiving workers’ comp benefits today! Call our Van Nuys offices at 818-812-5639 or (toll-free) 800-747-3447 or complete this contact form.